The night restaurant in Warsaw at New Orleans Club is undoubtedly a perfect combination. We are honored to invite you to try the true specialties of our delicious cuisine. Here, any true man will find something for himself. Our chefs will do their best to meet even the most sophisticated expectations of our dear customers. The steaks we serve are prepared from top quality meat. Such a menu cannot possibly fail a man’s taste. The night restaurant in Warsaw, which awaits you in New Orleans Club, is a place where you’ll enjoy not only delicious cuisine, but also beautiful women, who are not ashamed of their charm. Exceptional atmosphere in our premises attracts true gentlemen. It is undoubtedly a classy place. We prepare steaks of the best meat especially for you, because our Clients’ satisfaction is extremely important for us. 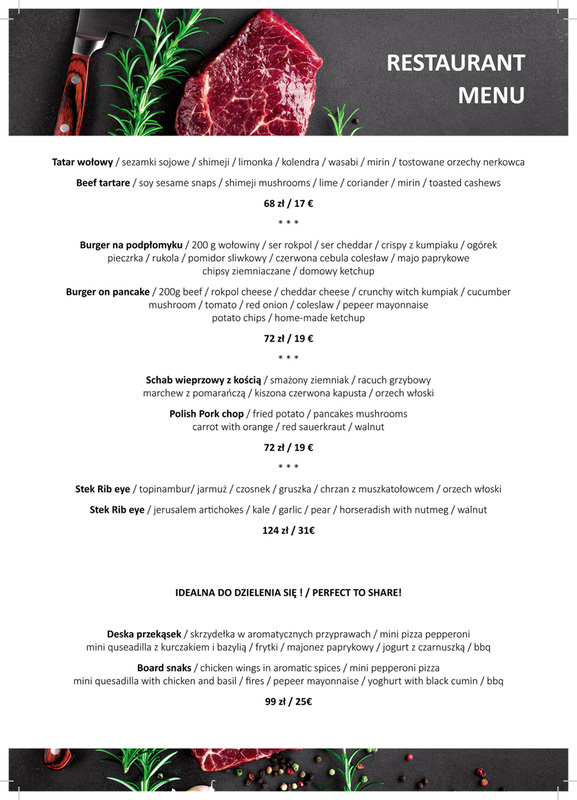 If you’ve hesitated until now, we do hope that all the doubts are now gone, and that you will soon visit our night restaurant in Warsaw. Remember, to have a good time, it’s worth having a good and filling meal first, and that’s something you can expect at New Orleans Club. With their culinary skills, our chefs will make sure that any, even the most challenging dish, is served as expected. This means that any man who decides to visit New Orleans Club will be satisfied not only with the beauty of our adorable dancers, but also with the meals in our extensive menu.